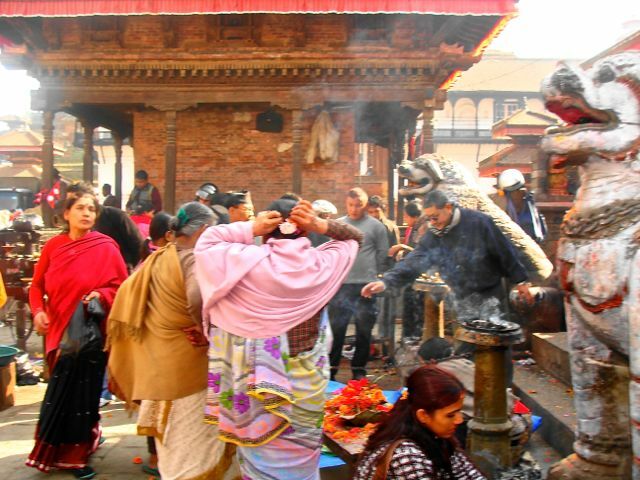 The Kathmandu Durbar Square is just one of several durbar squares in the valley. 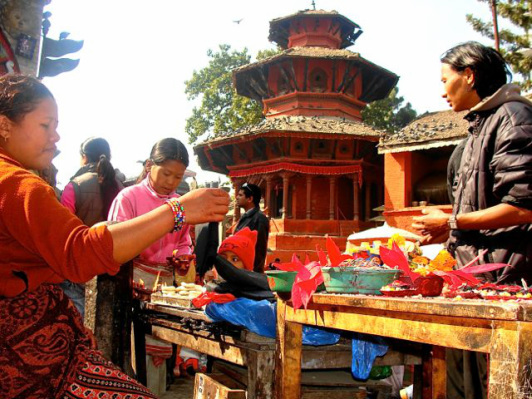 Vibrant with life in its temples filled all the time with worshippers, the old palace which is now a museum on Nepal's past royals, the old Newari houses, and the residence of the Kumari, the living goddess, Durbar Square is a must visit while you're in Kathmandu. 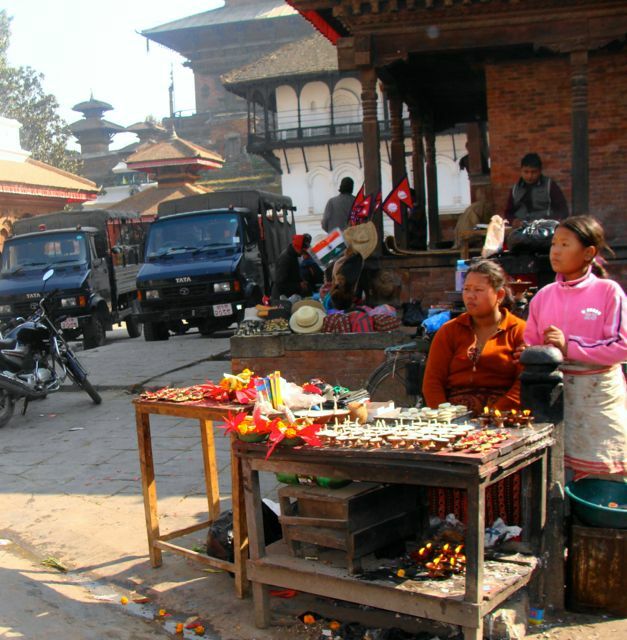 At times, there are photo or painting exhibitions in the square and, of course, the myriads of souvenirs stalls selling all kinds of art reproductions mixed with original thangka paintings and Newari woodwork, beads and pashminas, as well as cheap goods from India and China all add to the colour of the place. If your stars that day are shining brightly, you may just have a glipmse of the Kumari as she decides to show herself for a minute or two in her window. It is quite an experience! If you're not attentive, a sadhu might just get you at your forehead and leave you with a mark that will cost you some rupees. If you're attentive enough, you might just be able to click a shot as these sadhus pose for some tourists who gave them lots of rupees for the privilege. Their bright orange colored robes, unwieldy hair ad painted faces will not let you miss them in a crowd, so, look out.